Availability: In stock. Pre-order Now. The 5 in 1 Combo is the perfect Commercial Inflatable Sports Game for your rental business, school, church or other institution. The new 5-in-1 Sports Combo has something for every sports fanatic. Play basketball and volleyball. 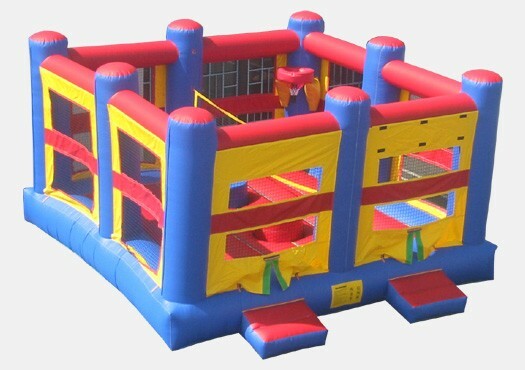 You can set it up for Jousting, and it can be used as a boxing ring or giant jumper. This inflatable was manufactured with a high quality 18 ounce PVC vinyl material; made to last year round.